The team of Thalapathy 63 is gearing up to go on floors from January 21 as the film is on its final rounds of pre-production. 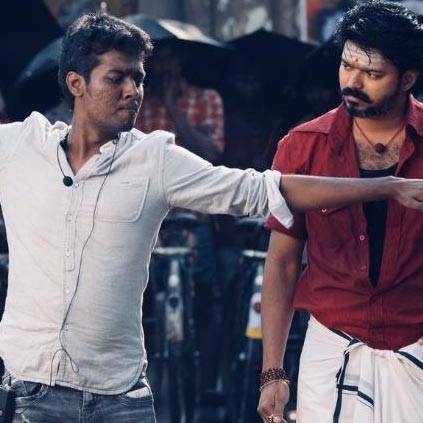 Directed by Atlee, the film has Vijay, Nayanthara, Kathir, Vivekh, and Yogi Babu in the cast and few more big names are also expected to be announced in the coming days. Meanwhile, Vivekh's addition in the film's star cast was officially confirmed this evening by AGS Entertainment, who will be bankrolling this biggie. On his Twitter space, director Atlee shared his delight about having Vivekh part of the project. He tweeted, "Happy to have @Actor_Vivek sir on board for #Thalapathy63 ! Have always been a big fan of u and ur witty humour. My long time wish was to work with u sir 👍👍👍feeling happy"
People looking for online information on Atlee, Thalapathy 63, Vijay will find this news story useful.